We service all of Northern Colorado from North Denver to the Wyoming border along the Front Range. When it comes to earth moving and accuracy, we provide many years of experience and knowledge. Whether you are building an entire subdivision, a single commercial building, a new home, an addition to your home, concrete prep or just dirt moving for a new garden we are able to do it all. 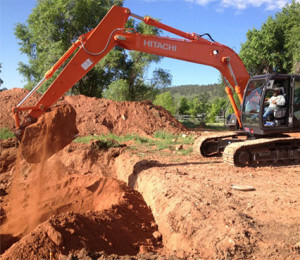 We are licensed and insured.We are a licensed septic tank installer in Larimer and Weld Counties.